Topping out at 55 miles per hour, pronghorn are some of the fastest animals in the world. Yet despite their powerful, lean legs, they can’t jump. Fences stop pronghorn in their tracks — a serious problem in a landscape crisscrossed with barbed-wire cattle fences. Rather than hop over fences, the animals will try to squeeze underneath. But wires are typically strung too low, scraping pronghorns’ backs and leaving them susceptible to infection and disease. 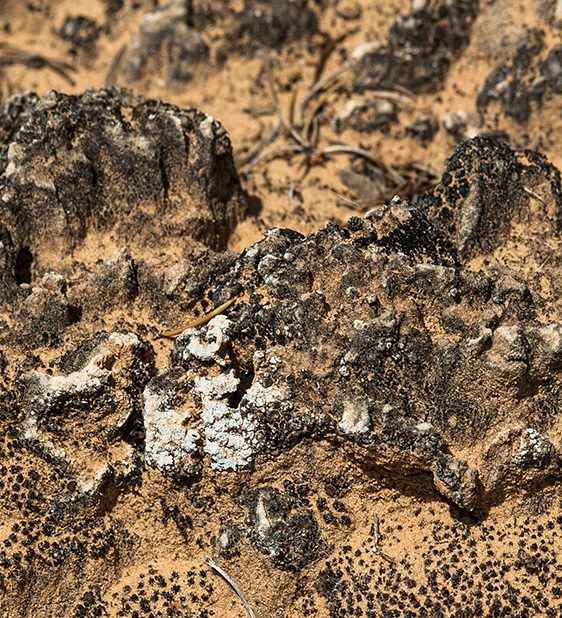 To the untrained eye, biological soil crust looks like nature’s version of a lumpy rash. But in function and form, it’s actually quite beautiful. The living skin is made of lichen, moss, and cyanobacteria. It protects soil from erosion and absorbs water. 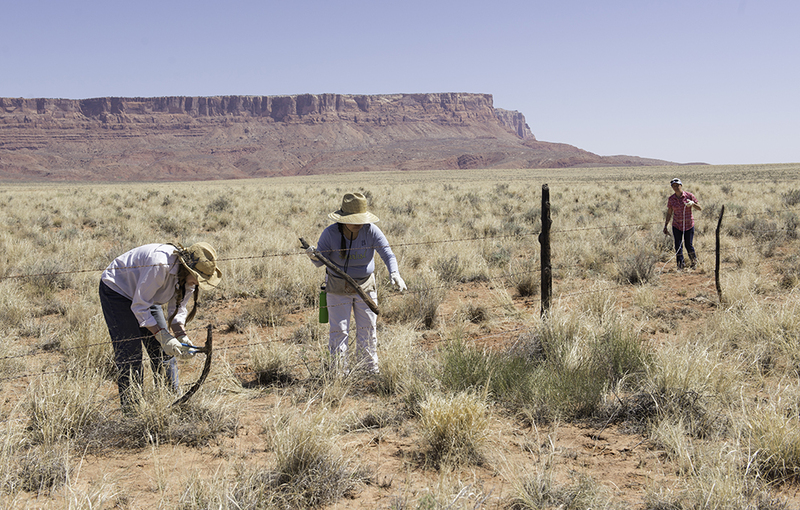 We work with volunteers to measure biocrusts in Grand Staircase-Escalante National Monument and make the case to monument managers of the need to protect this important resource. 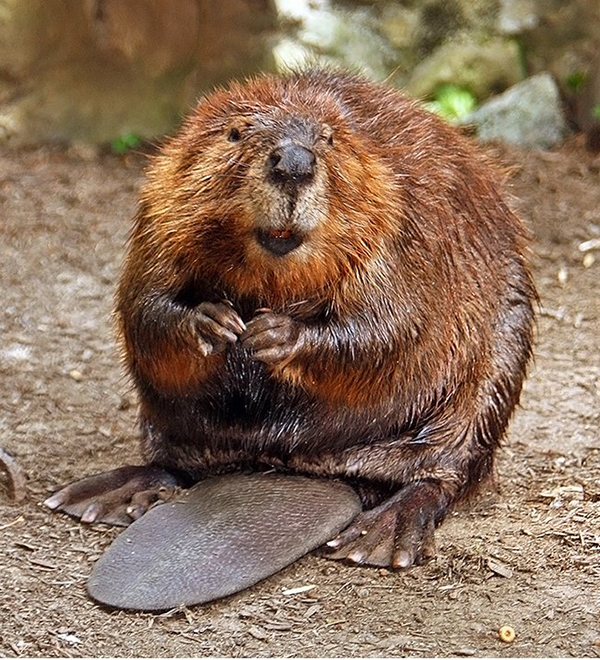 Animals tend to use the same routes to reach water, food, and mates. Researchers studying wildlife movement on the North Rim Ranches predicted the locations of these "animal highways." But actual wildlife sightings can be few and far between in such vast landscapes. Rather than twiddle our thumbs and wait for animals to walk by, we're using motion-activated cameras to help scientists study wildlife movement on the North Rim Ranches. Volunteers help us replace batteries, pull memory cards, and sift through thousands of photos. We're studying wildlife movement on the North Rim Ranches. Check out some candids of the cute creatures roaming around our forest and desert lands.